SEA-Solutions combines expatriate management experienced in software development with highly skill local resources to offer world-class services at very competitive prices. Why choose IT outsourcing and Vietnam software outsourcing? The outsourcing development opened new opportunities for businesses. IT outsourcing became a very important cost-cutting measure for thousands of companies. The benefits of outsourcing are incontestable: instead of building their own infrastructure and supporting it, companies outsource it to a third-party and focus on the core of their businesses. They save money, time, and effort. As a form of outsourcing, on-demand software penetrates deeper into the way businesses are built nowadays. 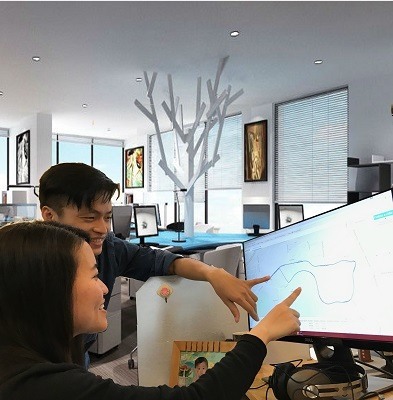 Vietnam is the fourth largest Software Development provider in South East Asia. Vietnam is the friendly country, low crime levels, high aspirations and a growth rate underpinned by a stable government and economy. Every year, there are over 40,000 IT graduates in Vietnam, because Science based subjects are the first choice at Vietnamese Universities. 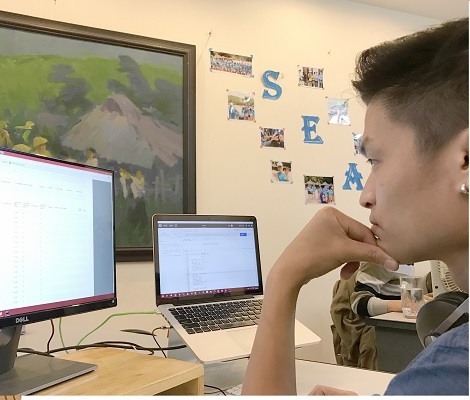 Vietnam’s education system has a bias towards mathematics that has created a ready source of talent for the IT industry. Moreover, the population of Vietnam is young, literate and increasingly interested in technology. Roughly 70% of population less than 30 years old. This is a strong resource for the industry in general and special in IT industry in particular. Labor in Vietnam have excellent technical skills, good skills language in Asian and European, flexible in working time zone and highly motivated people determined to succeed. On other hand, labor cost in Vietnam is considered the cheapest in all potential outsourcing destinations. 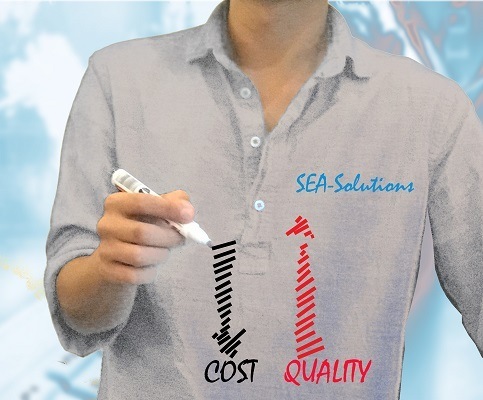 Why SEA-Solutions is the choice for success? SEA-Solutions writes software for companies that sell software. We provide software directly for our customers or a third party. We understand that their unique needs and the importance of delivering quality software on time and on a budget. We work with our clients to ensure the high quality product and to support them throughout their product’s lifecycle. We understand that in order to be successful our clients, we- outsourcing company need to deliver innovative software solutions to their customers timely, use the right technology for the right functionality and bring satisfaction above customer’s expectations. We have 10 years with working with customers for developing software and customizing software products for many software companies. We are a partner of Microsoft and IBM to develop custom software components or entire applications for often complex or resource intensive projects. SEA-Solutions has an average of over ten years development experience coding and working with numerous languages, platforms, frameworks and technologies. Our developers are able to communicate fluently in English and French. Most of them have on-site experience. We develop and deploy software with high quality and low cost. SEA-Solutions combines expatriate management experienced in software development with highly skill local resources to offer world-class services at very competitive prices. We offer three models project pricing for our clients: Fixed price, Time and material & Resource- based. SEA-Solutions applies Agile process to go straight to the customers’ needs, to quickly adapt to the requirement changes, and to save cost to our customers. 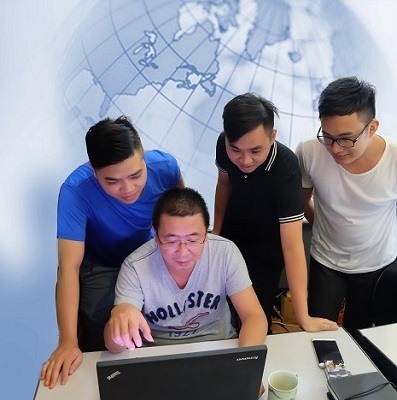 SEA-Solutions has a good combination and balance of senior developers and young developers for an effective and dynamic team. We pass 10-years’ experience in software outsourcing which help us for providing highly qualify service to meet yours need. SEA-Solutions guarantees 100% commitment, trust and complete transparency working with our clients. Status reports will be provided on a weekly basis. SEA-Solutions staffs have successfully implemented many large and complex projects for companies in the US and Europe using state-of-the-art technologies including wireless applications, embedded software and open source. 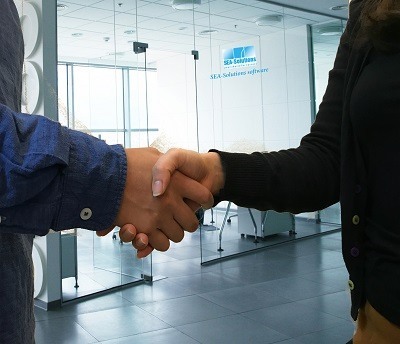 SEA-Solutions works with our clients by being an integral part of the organization. At SEA-Solutions, the learning process is continuous to ensure the best quality of work, greater convenience, and a distinct advantage at value for money. We are guided by the belief that our clients’ success is our success.